On our recent trip to East Africa, we spent two days in the colorful town of Karatu Tanzania which served as a relaxing pause from our wildlife safari. Located along the northern safari circuit, Karatu serves as gateway to the Ngorongoro Highlands and is located between Lake Manyara and the Ngorongoro Crater. Due to its location, many safari goers end up overnighting or stopping here for a quick break earning it the nickname “Safari Junction”. The busy downtown of Karatu is a mix of old and new with safari vehicles, local buses, and brightly colored tuk-tuks riding alongside Maasai herders and ox-carts, while just outside town cultivated Iraqw farms and villages merge into the green vegetation of the Ngorongoro Forest. If you do an Internet search for top things to do in Karatu Tanzania, you may end up with the erroneous impression that there is nothing to do in this town. In addition to enjoying some of the peaceful countryside outside of town, we explored the town’s marketplace, visited a local brewery, learned about the local brickmaking industry, walked through a coffee farm, took a guided walk through the Ngorongoro Forest in search of waterfalls and elephants caves, and visited an Iraqw homestead. Whether you are looking for cultural tours, hiking and biking opportunities, a chance to enjoy a slice of peaceful rural Tanzania, or simply a break from the dusty safari game drives, we think you should consider a stop in this underrated town. 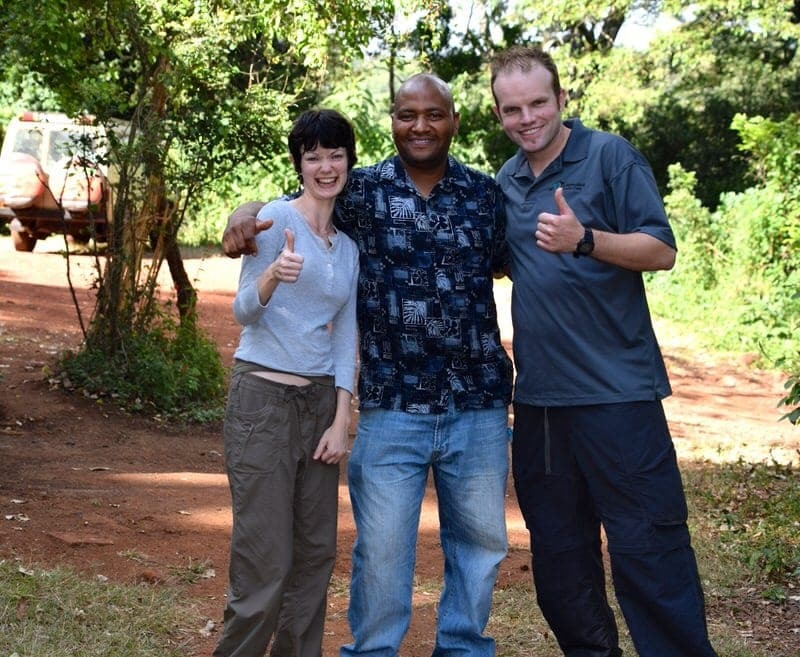 Here is our list of the top 10 things to do in Karatu Tanzania based on our visit. As we noted, there are few guides written on things to do in Karatu. In fact, here is Lonely Planet’s description of Karatu: “This charmless town 14km southeast of Lodoare gate makes a convenient base for visiting Ngorongoro if you want to econmise on entry fees” and the popular guidebook lists practically no suggestions for things to do. We would not say Karatu is charming exactly (not sure we’d describe any of the towns in Tanzania as “charming”), but we found Karatu to be a delightful bustling town that serves as a great stop for a bit of relaxation between game parks and an excellent place to engage in some cultural tourism. We chose to explore the area with a local guide and specifically arranged a few different guided tours with friendly and knowledgable Richard Njuga, coordinator of the Ganako Karatu Cultural Tourism Program. 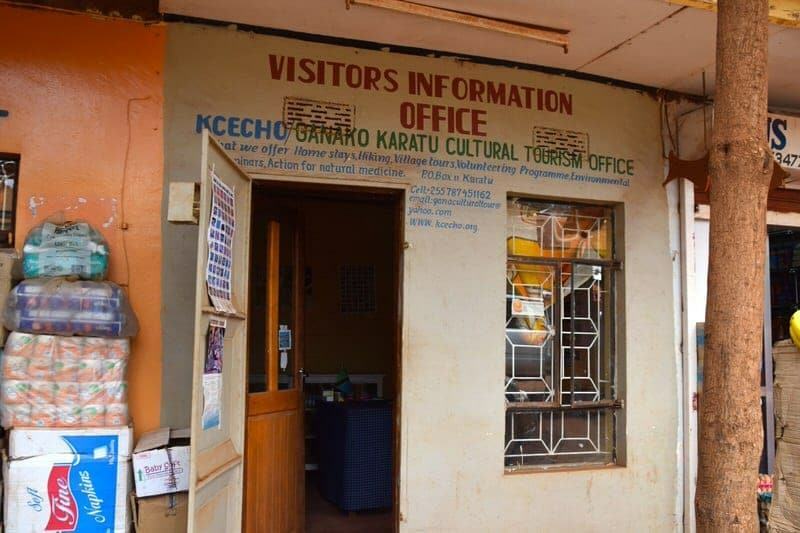 Proceeds from the cultural tours are used to support local environmental, educational, and health projects through KCECHO, a non-profit organization in Karatu. Almost all the listed experiences in this article can be arranged through Ganako Karatu and your hotelier who might offer additional options as well. Below is our top 10 things to do in Karatu in no particular order. 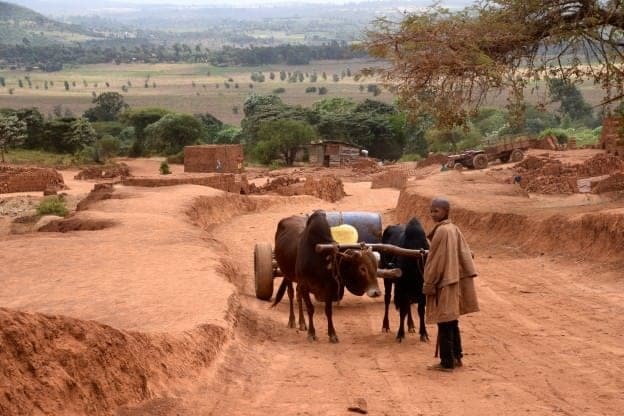 A great way to spend a couple of hours is to take a stroll around the town of Karatu. Visit the marketplace where you can explore rainbow-colored stalls and small shops that sell a bit of everything from vegetables and spices to Tinga Tinga paintings and carved wooden ornaments. This is a great place to barter for souvenirs and mingle with the locals. Along the way you might want to stop at a street vendor for a local snack such as fried cassava, chapati (fried flat bread), or fried bananas. 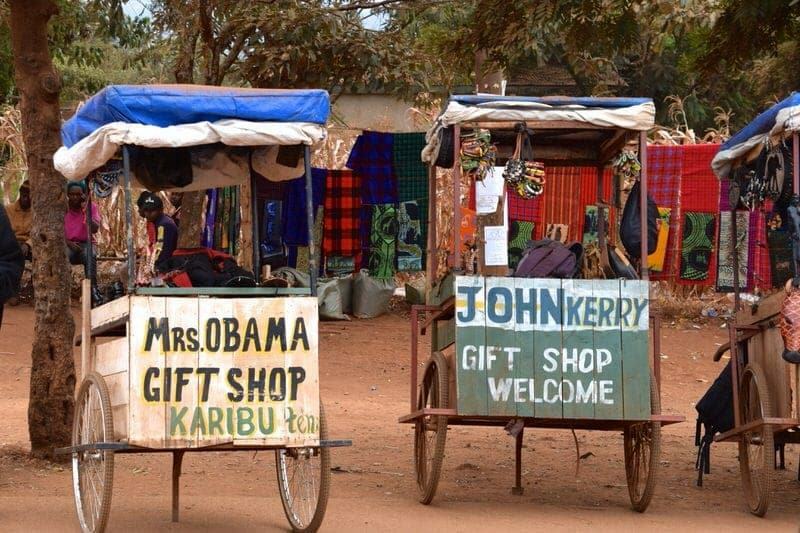 Keep a look out for the little mobile kiosks alongside the main road which have some colorful American namesakes such as the Mrs. Obama and John Kerry gift shops (there is also a Obama Hotel in town) which were featured in the The Amazing Race. 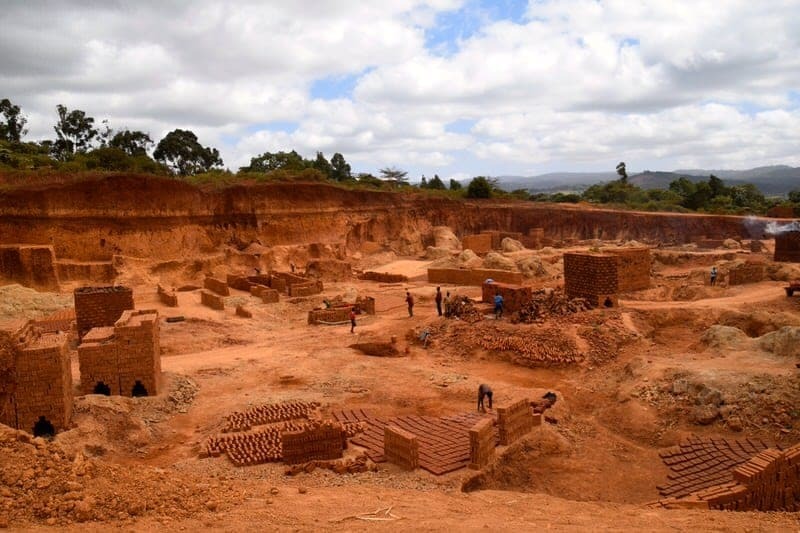 In addition to the marketplace, we’d recommend venturing to one of the local brickmaking sites as brickmaking serves as a major industry in the area and the process is interesting to watch. If you are interested in a richer exploration of the town, consider booking a guided tour which can likely be arranged from your hotel or through the Ganako Karatu Cultural Tourism Program. 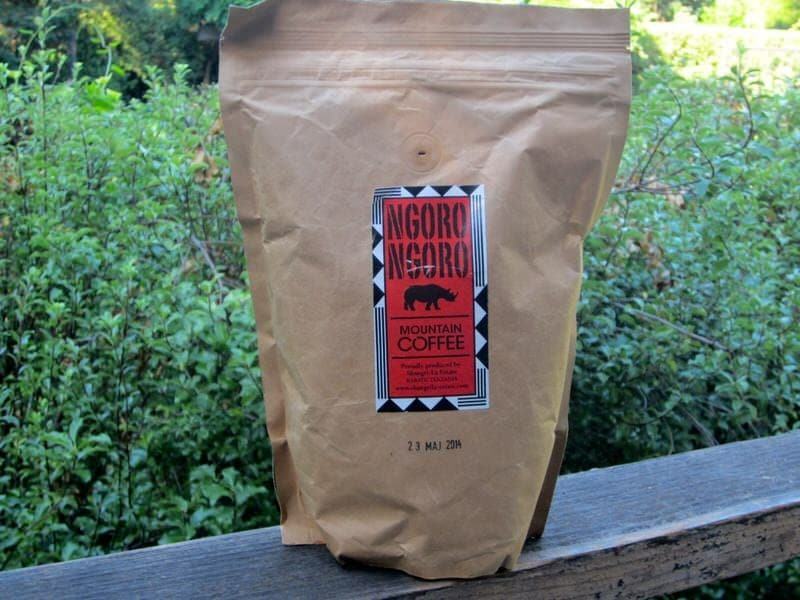 Tanzanian coffee may not have the international recognition of coffee from nearby countries such as Ethiopia and Kenya, but coffee has been grown in Tanzania for centuries and is one of the country’s largest exports. 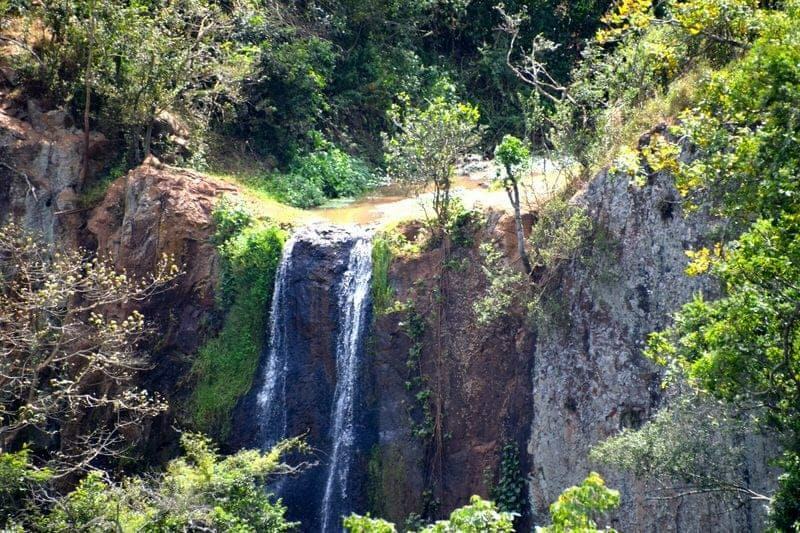 Karatu is an ideal growing area because of the mineral-rich volcanic soil and the altitude of the northern highlands. 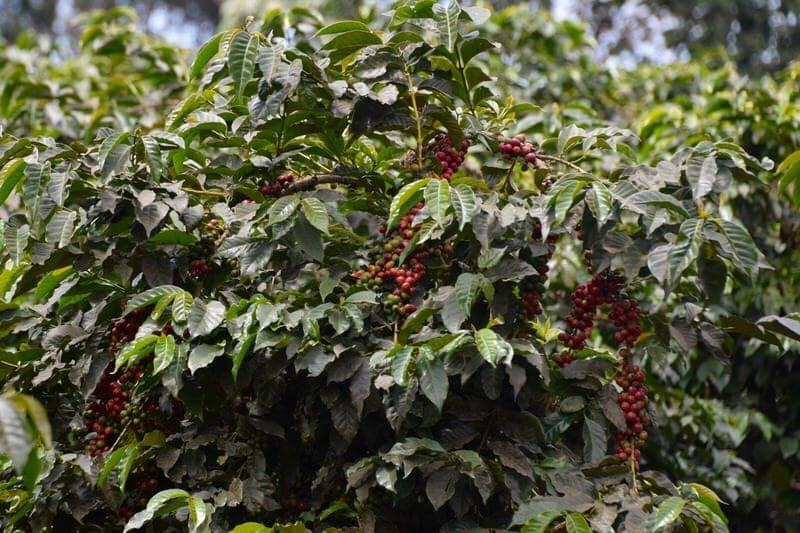 There are a number of coffee plantations in the area, including the plantation at the well-known Gibb’s Farm, Shangri-La Estate which produces Kifaru Coffee (formerly NgoroNgoro Coffee), Blackburn Coffee Estate, and Ngila Coffee Estate. You can decide your level of interest in the local brew from simply sipping some of the local coffee at your lodge, buying a bag of beans to take back home, visiting a coffee plantation to learn the coffee production process, or actually staying on a working farm and coffee plantation such as Gibb’s Farm or the Shangri-La Estate. You can book coffee plantation tours at your local Karatu lodge or through Ganako-Karatu. 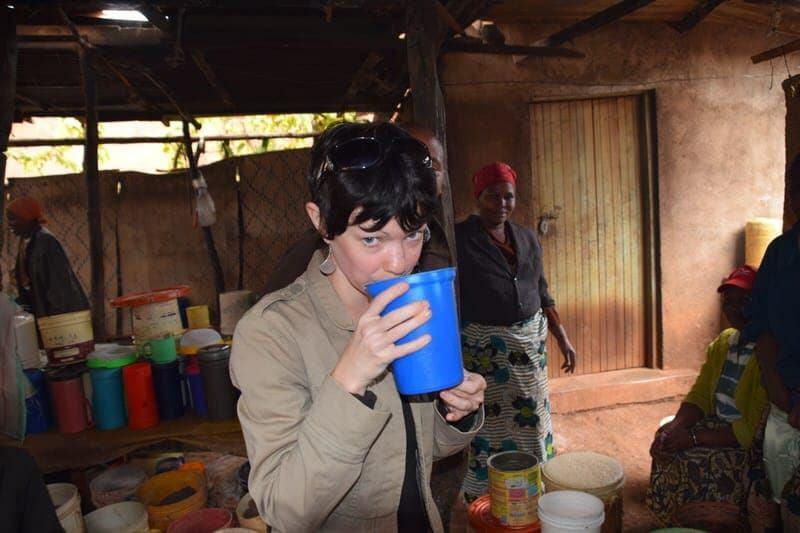 Travelers should try the local coffee while in Karatu; however, we also found out that Karatu has another type of brew for those wanting to be a bit more adventurous. It is probably best to visit with a guide but almost any local can also point you towards the brewery if you want to explore on your own. We followed our guide Richard away from the market and through a maze of streets to the local brewery. 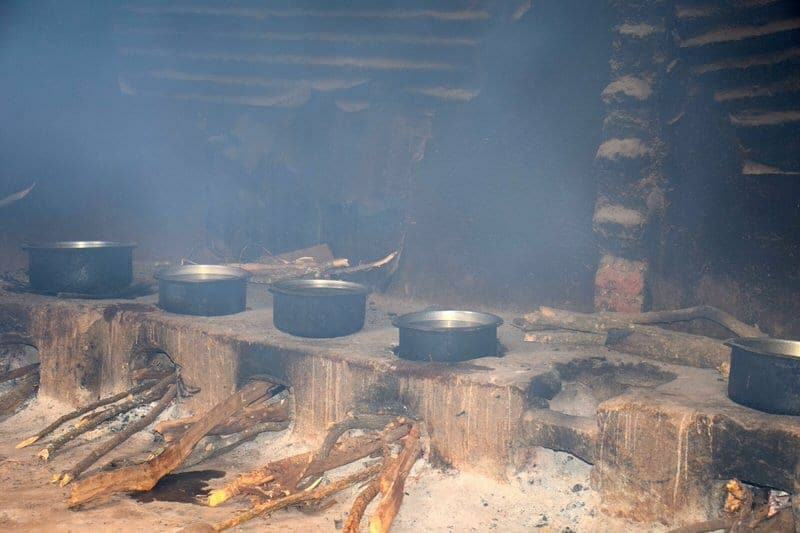 The beer is boiled in one smoky room and stirred, fermented, bottled, and drank in another large room. For less than a dollar, you are welcome to sample a cup of the beer. Richard asked that they give us beer that had been recently boiled to avoid any gastrointestinal issues (the safety and sanitation standards are not exactly up to par with Coors). A woman used a ladle to scoop a plastic cup full of beer from a plastic bucket of warm beer. The beer was warm and chewy as there were grains still remaining, but surprisingly it was mild and smooth in flavor. We made some quick (and tipsy) friends at the brewery before parting who seemed amused at our visit. We also walked by some other local people nearby who were grinding corn and other grains to be used for beer and spirits. There are a number of potential volunteer and charity opportunities in and around Karatu where you can benefit the local schools and orphanages, community centers, churches, or environment. Such opportunities can take place over the course of a day or last months depending on your interests and background. Remember that while you may want to work directly with kids, unless you can devote a significant amount of time (e.g., be a steady presence for at least a few months), it is less disruptive to children to help in other ways such as building school furniture, putting up a fence at the local orphanage, collecting school supplies, or painting a classroom. It is best to commit to a project in advance so that the organizer can be prepared for your visit. Even if you don’t want to volunteer your actual time, you can still donate to a local project by donating money or supplies (e.g., school or medical supplies). Given our healthcare background, we took the time to visit the non-profit Foundation for African Medicine and Education (FAME) clinic and hospital founded and run by American husband-wife team Dr. Frank Artres and Susan Gustafson. Our visit here and discussion with both “Dr. Frank” and Susan was really inspiring and the clinic is an amazing example of what people can do when they dedicate their time to making a difference! Free guided visits to FAME can be arranged but must be done so in advance. 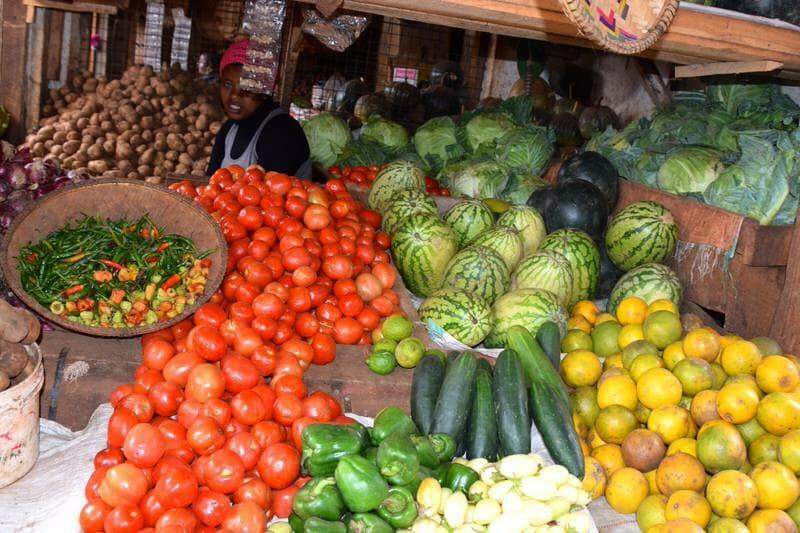 On the seventh day of each month a large market springs up in Karatu with a smaller version also taking place on the 25th of each month. This bimonthly market with local Iraqw vendors sells handicrafts, livestock, food, spices, clothing, household goods, pottery, and other items. A visit to the market is a great opportunity to pick up some unique souvenirs and stretch your legs. 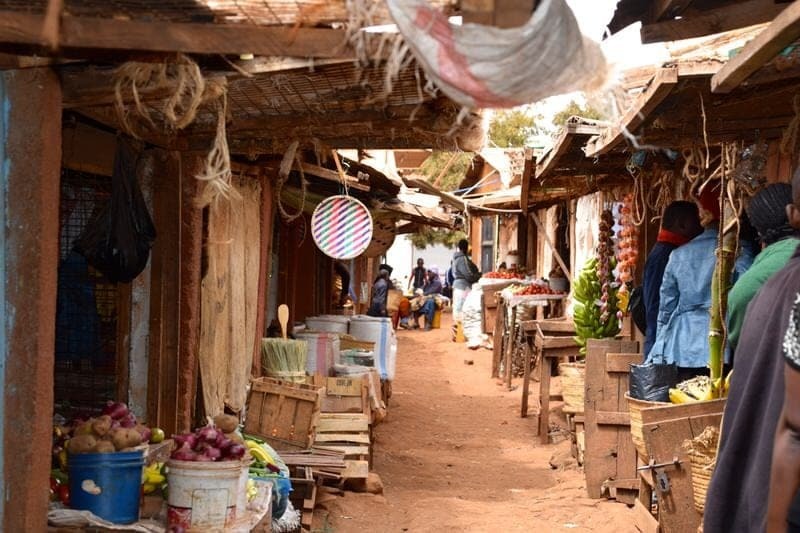 If your visit doesn’t correspond with the dates of the market, you can still visit the marketplace in Karatu town. The Iraqw people are a Cushitic-speaking ethnic group who are well-known for their agricultural skills. The Iraqw have a large presence in the Karatu region and you can learn more about the Iraqw culture by interacting at the local markets, visiting a village, or even arranging a homestay. We took a hiking tour with Richard at Ganako-Karatu to an area studded with small Iraqw villages, farms, and homes just outside of Karatu. While many Iraqw now live in more modern housing, some Iraqw still live in traditional Iraqw houses made of mud, sticks, and straw. Historically, the Iraqw and Maasai were warring tribes (there is still some animosity between some members of these groups) and the Iraqw devised a way to keep the Maasai from being able to steal their cattle by building their homes up against hillsides and keeping the animals inside the home. At night Maasai raiders would not be able to locate the homes or animal pens as they’d walk right along the roofs without realizing the Iraqw were dwelling inside with their goats and cattle. 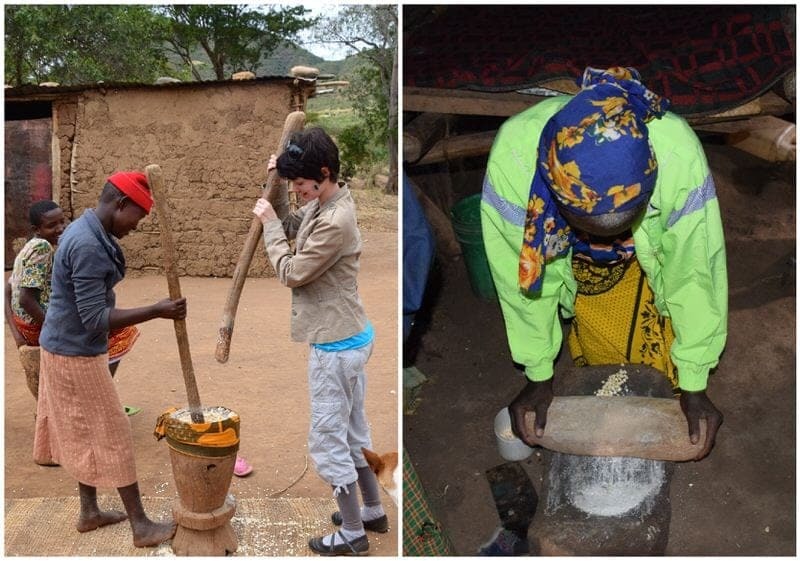 Along the hike we were able to see some of the traditional homes, meet some locals tending to their animals and crops, and even got to both try our hands at grinding and pounding maize. We also visited a homestead of a lovely Iraqw woman who lives with her eight children and her mother in a traditional home. Sadly the husband/father ran out on the family several years ago, making it very difficult for the family to earn a living. We were offered seats on wooden stools and cups of hot tea. While no one in the family speaks English, we were able to converse a bit with the family with Richard serving as a translator. Chickens, goats, and dog walk in and out of the home with a goat pen located in the center of the home and a cattle pen outside. 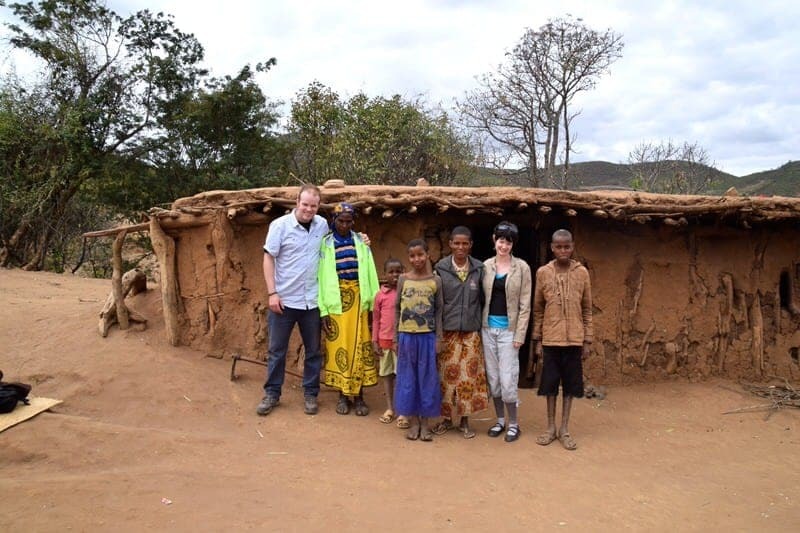 It was very humbling to see how simply the family lives and it is clear that they sometimes struggle to be able to feed and clothe themselves. There was definitely something voyeuristic about the visit akin to slum tourism, but we learned from Richard that this family depends on the supplemental income from visits (Richard provides them with some money from each tour and they often receive tips from visitors) to be able to provide for the children. 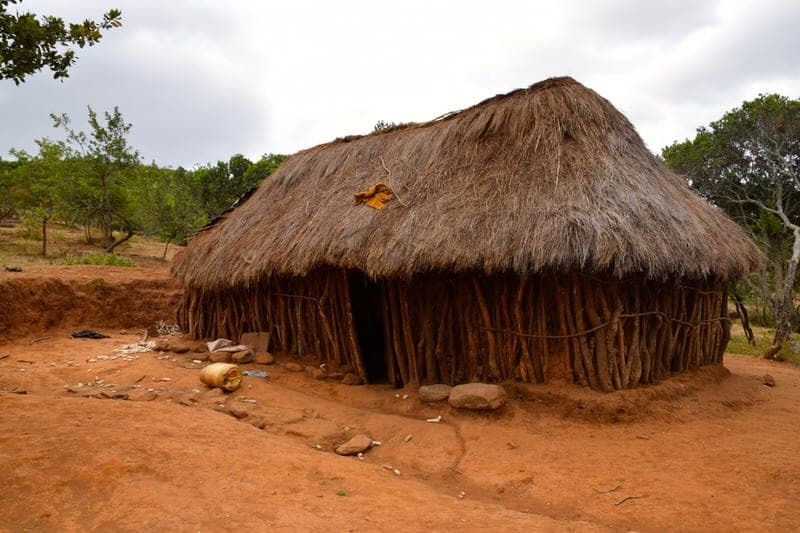 If you visit a homestead, it is appreciated if you leave a small monetary (preferably in Tanzanian shillings) or food donation to the visited family if you enjoyed their hospitality. Nature lovers will want to consider a walk in the Ngorongoro Forest Highlands which is a nice compliment to a visit to the Ngorongoro Crater. With a guide (required in the Ngorongoro Conservation Area), you’ll learn about medicinal plants, view a number of bird species, watch waterfalls tumble down a cliff, and see the elephant caves. If you are lucky, you may also see a number of animals who live in the forest such as elephants, buffalo, baboons, and various reptiles. The so-called elephant caves are where elephants, as well as a number of other species, come to extract salt and other minerals from the soil. 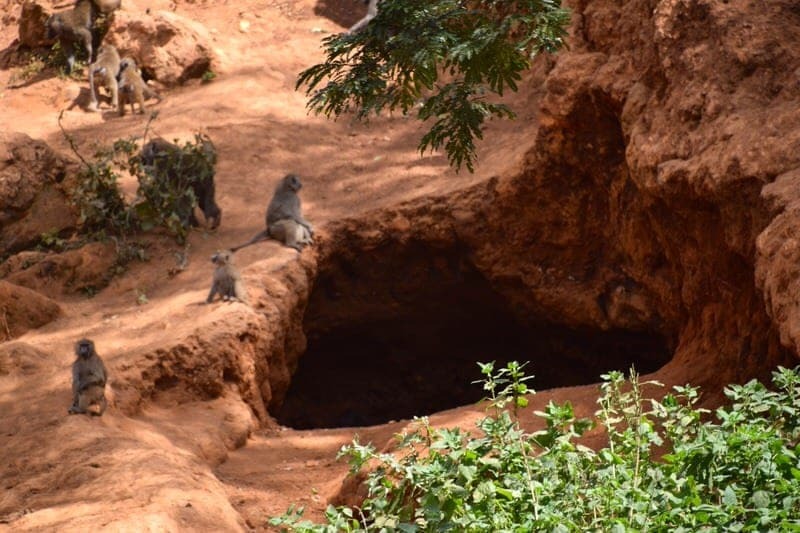 We saw lots of evidence of elephants and buffalo along the paths in the form of dung, vegetation destruction, and footprints, but the only animals we spotted were baboons and birds. The entrance to the trail is located near Gibb’s Farm and while you can come here independently or with a local guide, you’ll be required to have one of the Ngorongoro Conservation Authority guides with you once you pass the entry booth. The Endoro Gate Post is open from 7:30am – 4:00pm (7:30-16:00) and the hike is best done in the cooler morning hours as it requires some moderate exertion. Come prepared with sun protection, good walking shoes, and insect repellent. Remember that while your chances of seeing a buffalo or elephants aren’t high these animals walk these same paths every day so do be careful. If you need a break from being cooped up in a safari vehicle all day, Karatu is a place where you get out and explore on your own two feet. 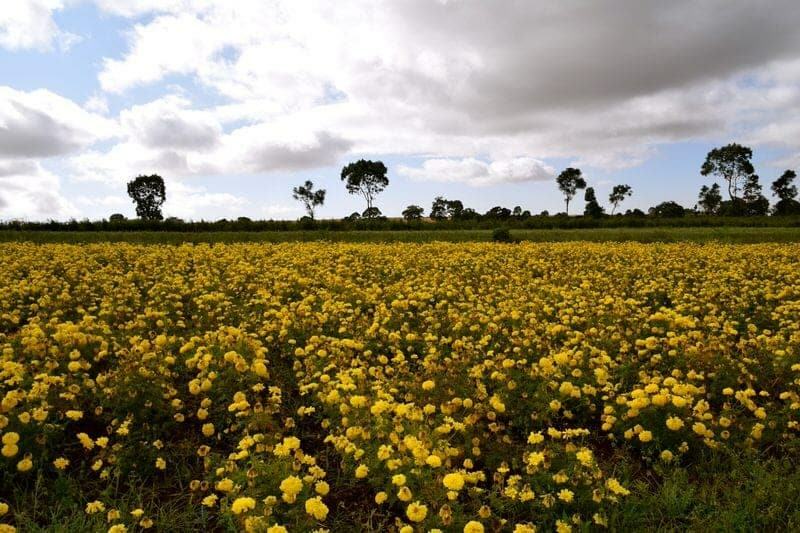 Whether you want to bike along a dirt country road to take in pastoral scenery, hike inside the lush Ngorongoro Highland Forest, or climb a hill for some great views, you can find something that will appeal. Tours catering to specific interests such as medicinal plants or ornithology can also be arranged with a local knowledgable guide. Also, just because you are outside the Ngorongoro Conservation Area doesn’t mean the animals stick to the boundaries, and buffalo, elephants, baboons, hyena, bushback, and other animals are often spotted around the countryside of Karatu. Ask your hotelier for help in arranging for bike rentals (consider if you’ll need regular bikes or mountain bikes) and to find out about scenic walking and hiking opportunities. Many budget and camping safari operators use Karatu as a base for visits to the nearby Ngorongoro Crater as the town is located not far from the gate to the Ngorongoro Conservation Area and a stay in Karatu may save money on entrance fees and lodging. 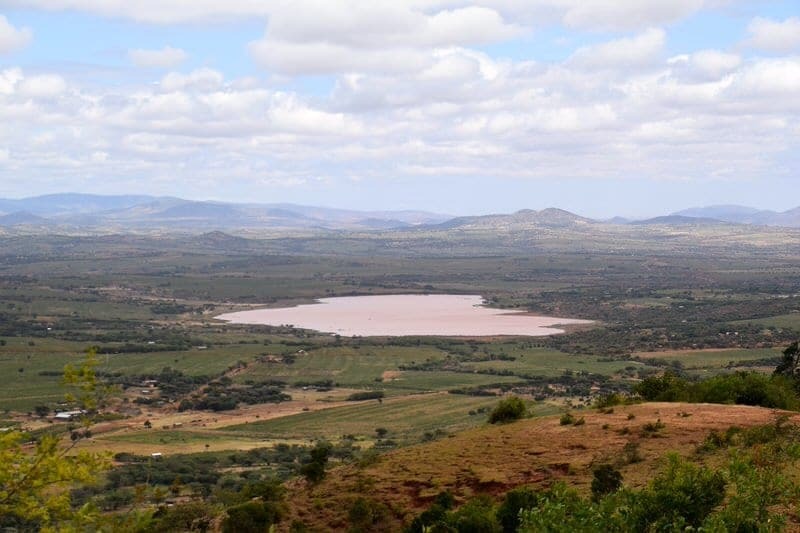 In addition to visits to the amazing Ngorongoro Crater, Karatu can also be used as a base for day trips to Lake Manyara, Lake Eyasi (where the Hadzabe Bushmen reside), Mlima Nyoka (climb “Snake Hill” for some great views), Oldean Village (a historical German settlement), and hikes along the Rift Valley. It can also be used as a base to visit Tarangire National Park, but we would not recommend it as it is a long drive and you’ll have more limited time in the park. Depending on the day trip, you’ll want to take into account the extra time you might need to spend driving back and forth in relation to any cost savings or added convenience of staying in Karatu. Most travelers arriving in Karatu have been riding along dusty, bumpy roads, standing in Jeeps to observe the local wildlife, and eating lunches out of a box. Some are only a day or two into their safari while others have been at it for a week or more. Karatu is a perfect place to relax and recharge your traveler batteries. It can be the perfect place to enjoy a soft bed, a day without a full safari sightseeing schedule, and the peace of rural Tanzania. 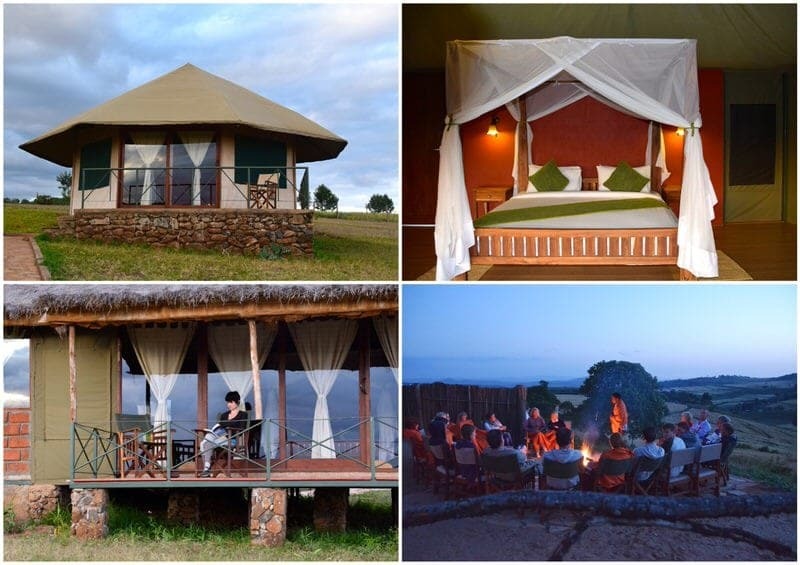 Karatu offers a range of accommodations from basic campsites to luxury lodges. We stayed for two nights at the Karatu Simba Lodge (you can read our review here) and enjoyed having two full days to sleep in, relax by the pool, do some reading and blogging, go hiking, and take in cultural activities. 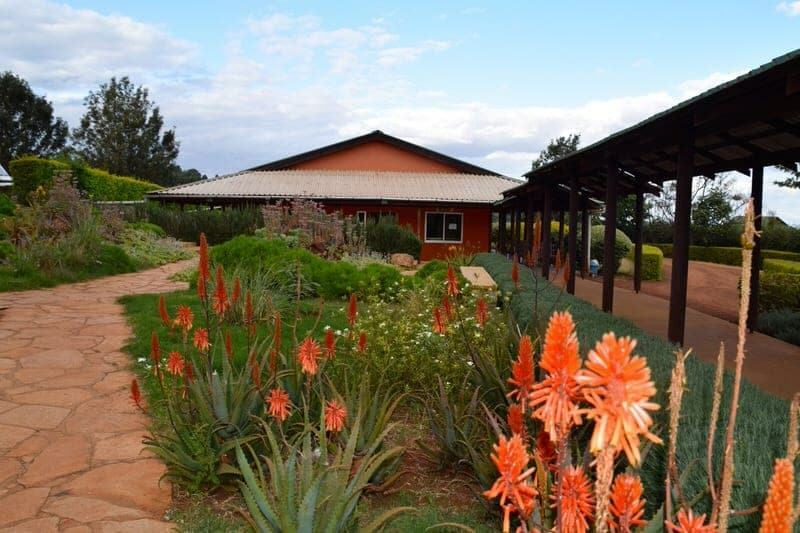 If you are looking for some extra luxury, consider booking a lodge with massage and spa services such as Gibb’s Farm. You can see a list of Karatu lodging options here. As amazing as seeing lions and elephants every day can be, sometimes you need a break to better appreciate the experience and to give your back a break from those bumpy roads! 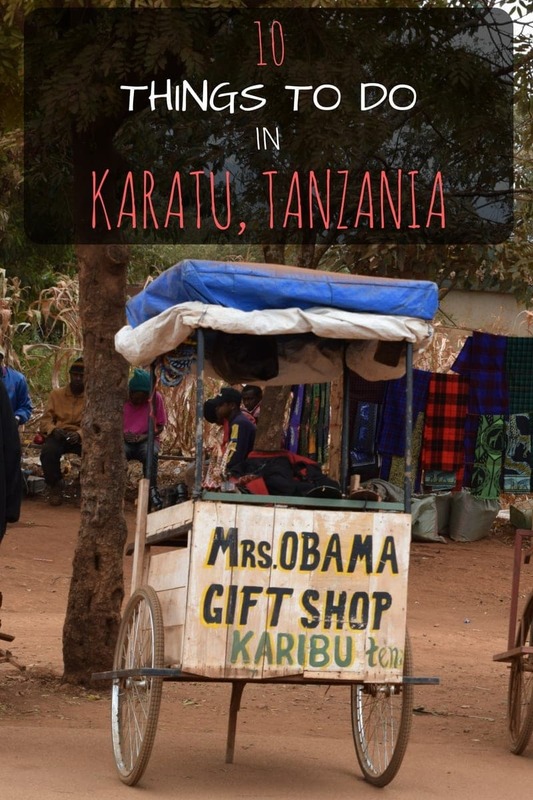 So there are our top 10 things to do in Karatu Tanzania! We found Karatu to be a delightful bustling town that serves as a great stop for a bit of relaxation between game parks and an excellent place to engage in some cultural tourism. Those traveling through Karatu may want to spend a day or two exploring this often overlooked town. Do you agree with Lonely Planet’s opinion or would you consider a stop here to explore this colorful town? If you’ve been, we’d love to hear about your visit and opinion on things to do in Karatu. Any questions about visiting Karatu, just ask us! 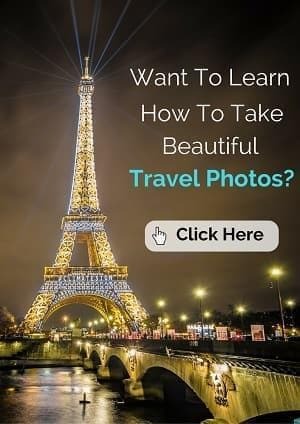 Great travel blog. Thank you for sharing about your exploits. You’ve inspired me to write about the rural villages I’ve visited in the most southwestern parts of Tanzania. 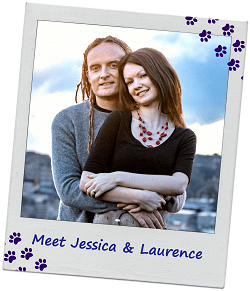 Hi Jessica and Laurence I’m from here, I was born in Karatu. I am glad u “liked” it. Karibu Tena. I studied in Seattle (UW) ohh man!! Hi, I’ve had the “luxury” of living of living and working in rural East Africa for years… sometimes in tents sometimes in local housing. I’m currently in TZ and headed to Ngorongoro District. I came across you posts as I am doing my due diligence. Thank you for spending the time to look behind the obvious to see the gifts that are always available when one looks for the wealth not the poverty. Karatu is a fantastic place and is at the crossroads of many safari locations, including the Ngorongoro Crater, Lake Manyara NP, and Tarangire NP. It also offers reasonably priced (and beautiful) accommodations. I highly recommend the boutique Oldeani Safari Lodge, which is next to the FAME hospital and has glorious views of the Ngorongoro Highlands and the local coffee farms. Karatu really is centrally located for those seeing parks along the northern safari route in Tanzania, earning it the nickname “Safari Junction”! We loved our visit to FAME and the coffee fields. Hello, really enjoyed your article on the 10 things to do in Karatu. I have been there a couple of times and have not done half of what you have mentioned. 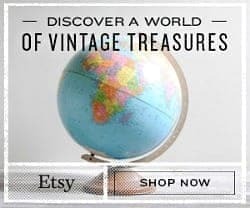 Will definitely be keeping an eye on you page and follow up on your adventures. 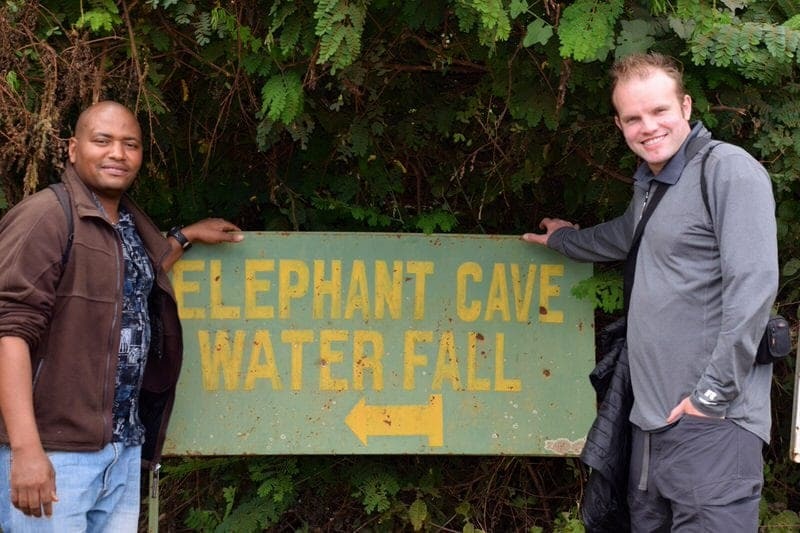 Elephant caves! Wow. Even though you didn’t actually see any elephants that landscape is incredible! I love following on your travels in Africa. Also, that hotel looks SO RELAXING!!! How pretty was your accommodation!!!! So glad you enjoyed your trip in Africa! Yes, the Karatu Simba Lodge was a nice place to stay. We actually did a full review of the lodge in a separate post if you want to check it out. We loved our time in East Africa! This post was fantastic! I’d love to visit Africa someday, a safari is one of the things on my bucket list, 🙂 I’ll be sure to try a village brewery after reading this. Thanks Sara. An African safari is definitely a very bucket-list worthy item:) I hope you get the chance to try a drink at a local village brewery! This is a great list of things to do in Karatu! Out of all the things you’ve suggested I’d most like to check out the Karatu Iraqw Market. It’s great that you took the time to look for what makes Karatu special. So many places get overlooked because they don’t have the “wow” factor that travelers come to expect…. but taking the time to appreciate even the most insignificant place makes every journey that much more special, that much more memorable. I have made a note to remember Karatu when we start planning our trip to that part of Africa. Thanks for that. Linda, I think you are absolutely right and I think people with your type of attitude make the best travelers. We have a philosophy to try to enjoy every place we go no matter where – I think people focus too much on the “must-see” destinations and attractions and forget to spend some time in the other 90% of a town or country! Thanks Iva! Yes, I definitely agree that every place has something unique and meeting some of the local people is always worth the time! Yes, we were not sure what to expect when we heard “elephant caves” and I think they used to be deeper and look a bit more like caves. From what we gathered, there was an avalanche of sorts and several animals actually died here in the past. But the soil is rich in salt and other minerals so the elephants and lots of other animals come here to lick the dirt. Kind of like a natural salt lick (a reference farm people may get haha). What an amazing experience. Africa has always been on my list of must see’s – it’s just become more difficult now that I have a daughter to make it happen! Hi Madaline, yes, safari is not the best place for kids as young children are often not allowed in the parks or lodges. But what a wonderful trip it would be to take you daughter when she’s older! What an interesting overview of Karatu. It doesn’t sound boring to me at all. I never thought of needing freshly boiled beer as I thought the fermentation was supposed to help kill the germs, but I suppose it’s better to be safe than sorry. You visit at the homestead sounds interesting, too, and I’m very glad that the family gets monetary compensation for it. So much of the local produce is still grown naturally which is great:) We had so many wonderful vegetables soups in this country it was amazing. The names of shops, particularly in the smaller towns, are often hilarious. Most people we met seemed to really like President Obama and would refer to the USA as ObamaLand. Yes, when we were told we were going to a brickmaking factory, I imagined this enclosed building with brick ovens not this giant open space. I think the government owns the land and then locals can choose to work here and make the bricks and then they profit when the bricks are sold. Most are male workers but some women work here as well. 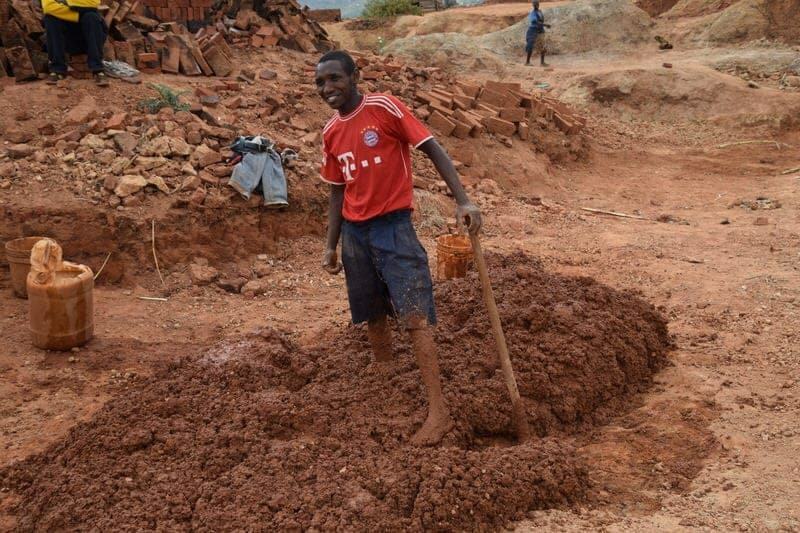 Given the high rates of unemployment in Tanzania, this opportunity can provide some much-needed money to those willing to put in some hard work. The problem here is that the brickmaking is not done in the most environmentally friendly way as lots of trees are cut down to clear areas and then trees are burned in the heating process, etc. I am planning to visit the Ngorongoro crater soon, nice to know of a stopover town with lot’s of things to do. 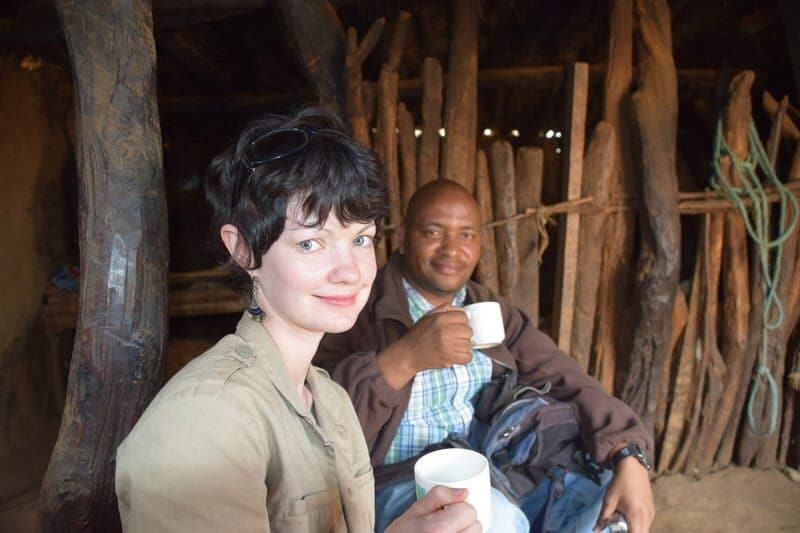 Rachel, as you already know from your travels, there is so much more to do in Tanzania (and Kenya) than go to beaches and do wildlife safaris. I think Karatu allows visitors to have other types of experiences. Hope you get to the Ngorongoro Crater soon, it is spectacular (although can be quite crowded in high season). Thanks Marcella, there are a number of things to do in and around Karatu despite Lonely Planet’s opinion on the town. We like the LP guides (and had one for Tanzania) but felt they got this town wrong. 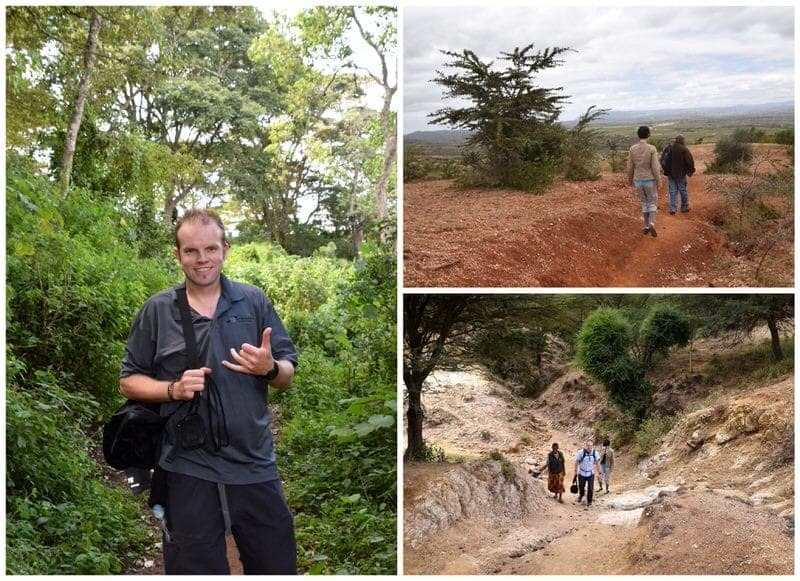 Thanks, the views around the Karatu countryside are very pretty! Jessica, It sounds like you rose to the challenge of having a good time despite what you read. Sometimes we have to do that, both from being underwhelmed by a large tourist site or in this case having just the right amount of fun. Kudos! 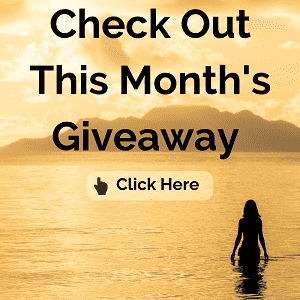 Thanks again for linking up to Weekend Travel Inspiration; I love reading your African tales! Corinne, that is so true! I think that Ethan and I find something to enjoy about every place we visit. Whether its Paris or Karatu or a small town in the USA – we feel all places have something to offer.